Aim: to identify present perfect simple and continuous. 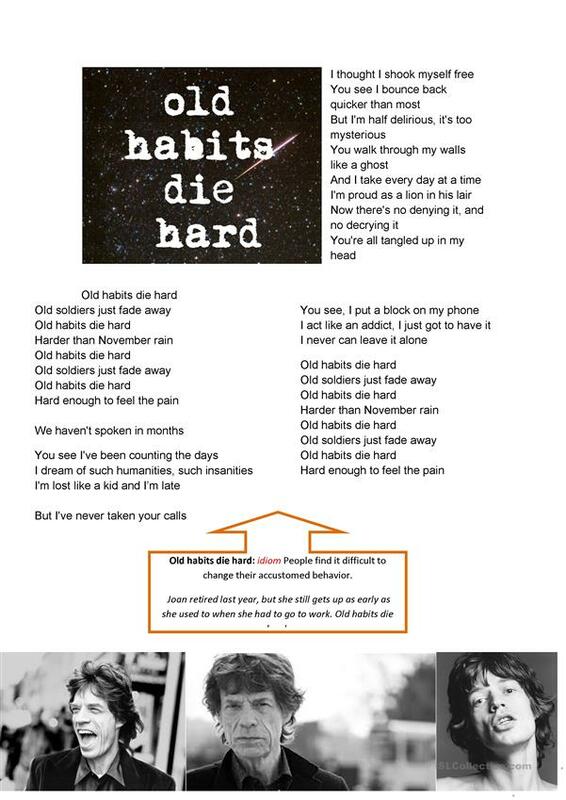 To introduce an English proverb "old habits die hard"
It can also be used to speak about bad habits and important changes in life. The present downloadable printable is intended for high school students and adults at Pre-intermediate (A2) level. It was designed for honing your class' Listening and Speaking skills. Ayee is from/lives in and has been a member of iSLCollective since 2014-09-15 05:30:21. Ayee last logged in on 2018-11-20 16:33:24, and has shared 6 resources on iSLCollective so far.